Which will you choose: the path of least resistance or the path of potentially greatest satisfaction? You may think that with a last name like his, Buffett has enjoyed a life of endless privilege. 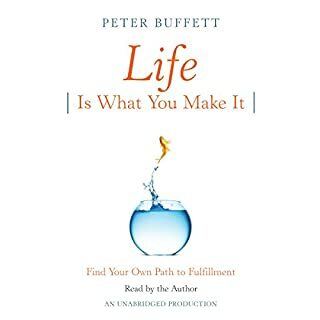 But the son of billionaire investor Warren Buffett says that the only real inheritance handed down from his parents was a philosophy: Forge your own path in life. It is a creed that has allowed him to follow his own passions, establish his own identity, and reap his own successes. 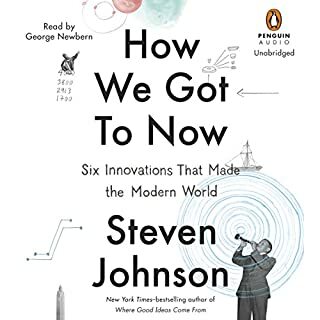 Steven Johnson has written an ambitious book here. I learned a great deal about innovation and he made me think on multiple levels. Without repeating the book contents noted in earlier reviews, I would say that Chapter 4 was an eye opener for me. It dealt with networking, note taking, and related software. It moves the reader and practitioner beyond Brain Storming for sure. That one chapter is worth the price of the book. 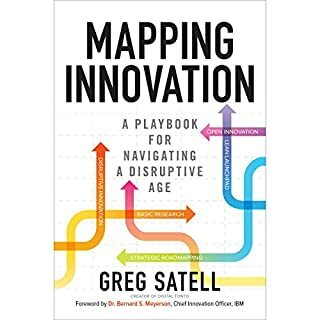 If you have read widely in the areas of innovation and technology this book may not be another for your list. If you want a broad orientation in a package that contains many, many ideas, this book may well be your choice. It is well written, informative, and the reading of Eric Singer is excellent. The final chapter is a summary and conclusion that you will not want to omit from your hearing. I really hope that Johnson will produce another book greatly expanding on his ideas outlined in Chapter 4. For someone trying to invent good ideas, create an environment that leads to them, or just understand how they come about, this book is a gem. It is not a how-to per se, but the analysis is intriguing, fresh, and relevant, and the narration gives it shape and energy, making it a pleasure to follow. ● Narration really made the book for me. The book is arguing a point of view, so it's entirely appropriate that the narrator bring some spirit into it. To me, it felt genuine, as if the author were arguing the points himself. ● Accents used by the narrator seemed perfectly appropriate to me. I have no idea if they were accurate or not, but since he was quoting a variety of perspectives, it helped make boundaries between voices and it made the reading more engaging. As a doctoral student in computer science trying to develop something new, this book was helpful and influential. Compared to other books I've read, and the content of a couple of related courses I've taken in recent years, this was the most satisfying and most useful perspective I've encountered so far. Thus, I was surprised by some of the criticism from some others who listened to this book and reviewed it here. Note: I have no connection to the publisher, author, narrator, producer, etc. I found the book via a recommendation from a prominent researcher. If you could sum up Where Good Ideas Come From in three words, what would they be? 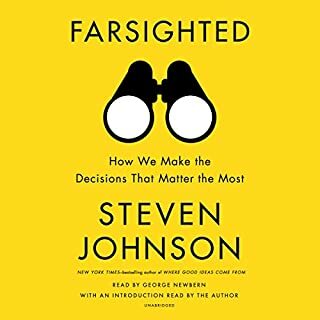 The best thing about this book is the careful way Johnson crafts his case. 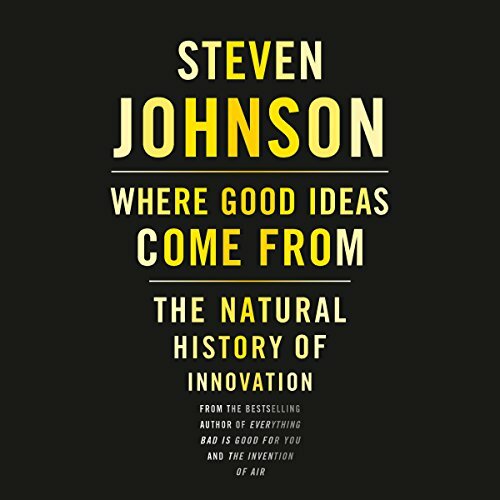 His concept of where good ideas come from is not theoretical, but based in the history of innovation by humankind from prehistory through now. I especially enjoyed his vignettes covering everything from Gutenberg's press to the jazz sounds of Miles Davis to the development of Twitter conventions by the twitter community. If I have to pick just one though, it would be the part about commonplacing and how that practice evolved into the world wide web. Overall, this book was interesting, albeit repetitive. The author's belief that open platforms lead to more innovation was clear throughout, at times to the neglect of alternatives. The arguments could have used more evidence and fewer platitudes. It was strongest when it focused on biological innovation as a metaphor for ideas. The reading was less than ideal, at least for my taste. I tend to like dramatic readings, but this one was over the top even for me. His voice and pronunciation were pleasant enough, but he felt it necessary to fake accents for every quote. I wouldn't say that it disrupted my ability to enjoy the book, but it didn't help, and I did find myself groaning with each "impression." Understanding how ideas are born should be among the top concerns of people in the higher ed business. Johnson provides us with a map. Lots of good anecdotes fleshing out an extended metaphor about the genesis of ideas as an evolutionary process. I don't normally write reviews of the books I listen to. In this case my opinion of the book is so much higher than the general tone of the other reviewers that I felt compelled to share my views. I thoroughly enjoyed the entire book finding it both valuable for ideas on increasing my own creativity and interesting from a historical science perspective. The reviews on Amazon are much more skewed towards the positive end than are the reviews here, and the Amazon reviews are more useful regarding the contents of this book. Regarding the narration: I liked it. I found the narrator's tone engaging. This narrator decided to differentiate quoted text from the primary author's text by using an accent for the quoted text. While the narrator's accent selection was sometimes amusing, it was never distracting and certainly not irritating (as others reported). When an audio work quotes another work, there is always the potential for confusion of when the quote ends. One solution would be to state “end quote”, but that would be distracting. 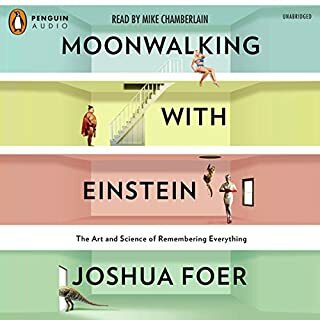 I found that the narrator's decision to differentiate quotes with an accent provided clarity of attribution while maintaining the flow of the work. This is a short book with a big thesis. However, the thesis isn’t well explained at the beginning and everything that follows seems rambling and confusing. He tries to use analogies between human systems, structures, philosophies and even individual activities to natural selection and I found it unconvincing. In addition I found the writing style to be flat and uninteresting. Finally I thought that the conclusion of the book was extremely weak. All in all it was a miserable listen for me and if it hadn’t been my book club book for the month I’d have stopped listening in the first 20 minutes. 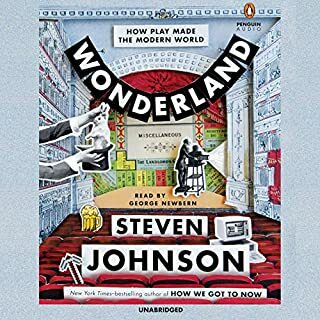 I loved this book and its connections across disciplines to explain big ideas. I learned, I learned, and I always came back wanting more! Well researched... tough subjective topic. This book was well written and the reading was performed superbly. If you're on the fence, go ahead, you wont be disappointed. Content is well researched. This topic is very subjective and hard to pin down any trends. I think his results are a bit of a reach. I would recommend this book to anyone interested in product design.